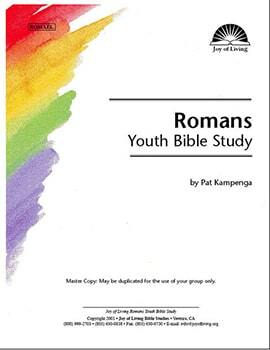 *The Romans Adult Study contains 18 lessons, so the Youth Study does not match up to the Adult Study lesson-by-lesson. …human beings to move from a place of condemnation and sin to a place of reconciliation and righteousness. Romans will change your life, just as it has changed thousands of lives through the centuries.